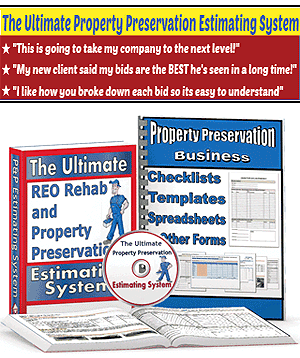 Property Inspectors have a very important job within the Property Preservation industry. Most importantly, FHA insured loans have extremely specific timelines that the banks absolutely must comply with. Plus most insurance policies have strict rules in regards to a property’s vacancy. The property inspector is the key player in the field whose work allows banks and servicing companies to stay in compliance. Vacant and abandoned properties are potential targets for vandalism, weather damage and criminal activity. Additionally, they present an attractive nuisance that poses a hazard to children and others who may be injured. To ensure the preservation of the mortgage collateral and lessen the negative community impact of vacant properties, Mortgagees must conduct regular property inspections. Mortgagees may include the cost of these inspections in a claim for insurance benefits within the limits described in this section. 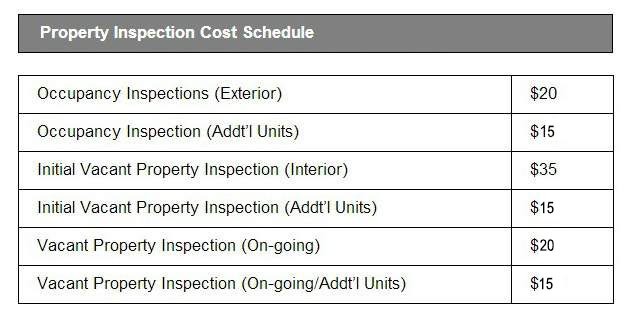 Claim amounts paid for inspections are not included in the maximum cost limit per property. Mortgagee must make an effort to determine occupancy before incurring the expense of a property inspection. The industry has developed a variety of tools, including the use of “door-hangers” and “mailers” to assist a Mortgagee in determining if a property is occupied or vacant. These tools ask the occupant to contact the Mortgagee to confirm the occupancy status of the property. The failure of the occupant to respond within the prescribed time period indicates that a prompt visual inspection of the property is required. To avoid unnecessary inspections, occupants should be allowed a minimum of five business days from the date of the mailing or other contact to respond to the mortgagee. Reimbursement for an occupancy inspection may be denied by the Department if sufficient time is not provided for occupant response. There are five types of property inspections: Occupancy Inspections, Initial Vacant Property Inspections, Vacant Property Inspections, Voluntary Pre-Conveyance Inspections and Eviction Inspections. Form HUD-9519-A, “Property Inspection Report” (now PDF fill-able) may be used to document and support each claimed inspection/expense. 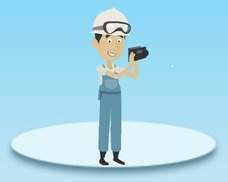 Before and after photographs are required on all property visits where any claimable property preservation action is taken. Also, all inspections are to be documented. Photographs and inspection reports should be maintained in the Mortgagee’s claim review file and must be provided to HUD or its contractors upon request. Information collection activity for inspections and photographs is covered under the Office of Management and Budget (OMB) Control Number 2502-0306 and documentation related to claim submission and claim file retention are covered under OMB Control Number 2502-0429. Mortgagees may be surcharged for the cost of property damage if inspection reports are inaccurate, incomplete, untimely or insufficient in determining a verifiable timeline as to when damage occurred. When a mortgage is in default, a payment is not received within 45 calendar days of the due date, and efforts to reach the Mortgagor by telephone or correspondence within that period have proven unsuccessful, the Mortgagee must make an Occupancy Inspection in accordance with the guidelines herein to determine if the property is vacant or abandoned (24 CFR 203-377). The Occupancy Inspection may determine that the property is (i) occupied (ii) vacant but obviously being maintained (e.g., doors and windows secured, lawn is cut, For Sale sign on the property, etc.) or (iii) vacant and abandoned. Regardless of the result of the occupancy inspection, so long as the Mortgagor continues to be in default on the mortgage, the Mortgagee should endeavor to establish and/or maintain monthly telephone contact with the Mortgagor. If there is no documented telephone contact with the Mortgagor for any period of 25-35 days from the last contact or the last Occupancy Inspection, the Mortgagee shall conduct another Occupancy Inspection. If the Occupancy Inspection establishes that the property is vacant but obviously being maintained, on-going Occupancy Inspections should be conducted every 25-35 days following the previous documented telephone contact with the Mortgagor or previous Occupancy Inspection so long as the mortgage remains in default. Documentation should be provided as to how the property is being maintained to justify that the property is occupied by the mortgagor. If the Occupancy Inspection establishes that the property is vacant and abandoned, the Mortgagee should document thoroughly the property damage, initiate preservation and protection actions and the related measures required to secure the property beginning with an Initial Inspection. Mortgagees should also perform a visual inspection of a property where there is reason to believe that the property has become vacant or abandoned, even if the property is not in monetary default. Examples of information that might indicate vacancy or abandonment include, but are not limited to (i) written notice of code violation, municipal lien, condemnation or demolition (ii) disconnection of utilities or (iii) cancellation of homeowner insurance. Mortgagee should verify occupancy through either (i) direct Mortgagor contact by telephone or (ii) Occupancy Inspection. Mortgagees should maintain file documentation supporting the need for and results of the inspections on properties where there is no monetary default. HUD regulations provide that if the mortgage is in default and the Mortgagee is unsuccessful in contacting the Mortgagor by telephone, the Mortgagee should perform a visual inspection of the property to determine whether it is vacant, and if so, protect and preserve the property. In cases where the Mortgagor has filed bankruptcy, and the Mortgagee is prohibited from contacting the Mortgagor, supporting documentation must be maintained in the claim review file to confirm this prohibition. In such cases, Mortgagees will not be required to conduct interior inspections (or perform other preservation and protection actions), until such time as there is no longer a stay (prohibition) in place barring the Mortgagee from collection activities, or the bankruptcy court has granted approval for the Mortgagee to take any required preservation and protection actions. The Mortgagee should take all actions permitted under bankruptcy law and should diligently pursue seeking any necessary permission from the bankruptcy court to inspect and/or protect and preserve the property where no payments are being made and/or there is a suspicion of abandonment. HUD will reimburse for such actions, where: 1) the Mortgagee learns that the property is or may be vacant, 2) the Mortgagor is not performing as required by the bankruptcy court, or 3) bankruptcy is no longer a bar to foreclosure, inspection or preservation and protection, which includes but is not limited to, termination of the automatic stay or the trustee has formally abandoned the property or permission is granted. Date of the occupancy inspection. Is the property occupied? If so, how was this determined? A valid telephone number for the occupant, if ascertainable. Is the house locked or secured? Is there a For Sale sign on the property? If so, provide the Broker name and contact number. Is the grass mowed and/or shrubs trimmed? Is there any damage apparent from the exterior? Describe. Is any exterior glass broken? Describe. Are any doors or windows boarded? Describe. Does the house appear to contain personal property and/or debris? If the Inspection indicates that a property is occupied, the Mortgagee or its agent should attempt to verify the identity of the occupant(s). If it is not clear whether a property is occupied, the Mortgagee should review such occupancy indicators such as (i) checking utility meters to determine if they are on (ii) contacting the listing broker if there is a for sale or rent sign on the property (iii) observing general maintenance and (iv) speaking to neighbors. A drive-by inspection alone is not acceptable evidence of occupancy or vacancy. Documentation to support the occupancy determination must be provided along with a copy of the inspection report. An Initial Vacant Property Inspection, also called the “Initial Inspection”, is performed on the date a Mortgagee first takes physical possession of a property by securing it. Securing should take place as soon as reasonably practical, but no more than five calendar days following the determination that the property is vacant and/or abandoned post foreclosure or 15 business days following the determination that the property is vacant and/or abandoned, pre-foreclosure. If the Initial Inspection identifies an imminent source of property damage or a health and safety hazard (e.g., flowing water, collapsed roof, gas leak), the Mortgagee must take immediate action to remediate the damage/hazard. Where emergency permission could not be obtained in advance of the repairs, the Mortgagee shall submit an over-allowable request immediately following completion of the work and substantiate the emergency nature of the repairs. In some instances the Initial Inspection will take place on the same date as the Occupancy Inspection. In these cases, the Mortgagee may only claim the cost of the Initial Inspection. The Initial Inspection report establishes the condition in which the Mortgagee first found the property, and may be of critical importance in distinguishing between Mortgagor and Mortgagee neglect, following conveyance. Date of the initial vacant property inspection. Date of last occupancy inspection. Is there any apparent damage? Describe. Are there any apparent roof leaks? Describe. Does the house contain personal property and/or debris? List all and document with photographs. Is the house winterized? If not, when and where applicable, initiate winterization service (see Attachment 7). 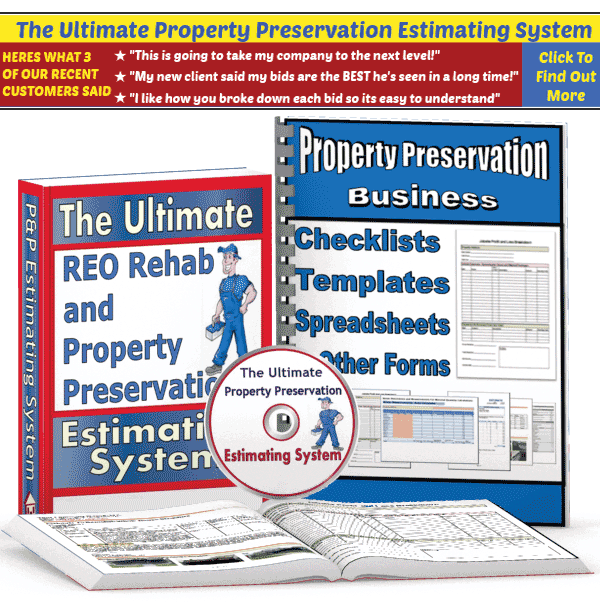 Are there any repairs necessary to adequately preserve and protect the property? Describe. Describe any P&P actions completed during initial securing. Describe any additional P&P actions required. During the Initial Inspection, Mortgagees should post a small sign no larger than 8.5” x 11” on an interior window or the front door of a property. The sign should not include information about pending foreclosure or the M&M Contractor, but should contain the Mortgagee’s toll free telephone number and/or the telephone number of the Mortgagee’s local representative to contact in case of emergency. There is no allowable cost to post signs. On-going Vacant Property Inspections are performed after the Initial Inspection and securing have occurred. The Mortgagee should inspect a vacant or abandoned property every 25-35 days following an Initial Inspection, or more frequently as prescribed in local variations (see Local Variation from General Requirements, page 15), to determine whether any subsequent or additional preservation and protection action is necessary. Vacant Property Inspections should include both interior and exterior assessments of property condition. At a minimum the Vacant Property Inspection report should include the items listed in 2A above. A number of Mortgagees have requested the opportunity to conduct a joint property inspection with M&M contractors prior to conveyance. HUD encourages, but does not require, Mortgagees or M&M contractors to conduct Pre-Conveyance Inspections. Pre-Conveyance Inspections may significantly reduce post-conveyance disputes between Mortgagees and M&M contractors by allowing each party to agree that properties are in conveyance condition or identify additional requirements that should be met prior to conveyance. This is especially beneficial when properties will be conveyed damaged, as it will allow the Mortgagee to demonstrate that the damage is not surchargeable, thereby reducing the likelihood of demand letters, re-conveyance, or other sanctions. Pre-Conveyance Inspections should be scheduled no earlier than five calendar days prior to the scheduled conveyance date. HUD will allow Mortgagees to claim the cost of one additional inspection, claimed at the rate of a Vacant Property Inspection, provided the Pre-Conveyance Inspection does not coincide with the regular inspection schedule. Mortgagees should contact the appropriate M&M contractor directly for further information on procedures regarding voluntary Pre-Conveyance Inspections in their contract areas. The M&M contractor, using HUD’s inspection form, will perform voluntary Pre-Conveyance Inspections. At a minimum the Pre-Conveyance Inspection report should include the items listed in 2A above. Mortgagees are required to perform a Pre-Eviction Inspection within 72 hours of a scheduled eviction, whenever there is any doubt that a property is still occupied. The Pre-Eviction Inspection will be reimbursable as an Occupancy Inspection. When an Occupancy Inspection is already scheduled for the same week as the eviction, only one inspection fee will be reimbursed. Mortgagees are reminded to confirm the scheduled eviction the day before or morning of the scheduled eviction to be eligible to claim one hour of labor per person for a canceled or rescheduled eviction. Mortgagees should document in the claim review file, the name of the person or place called, the date and time of the call and results of the call. At a minimum the Pre-Eviction Inspection report should include the items included in the Occupancy Inspection as listed in 1C above. The cost of inspections is not included in the overall P&P maximum. Generally, not more than 15 inspections per calendar year may be claimed unless indicated otherwise under local variations. In cases of a declared natural disaster see Mortgagee Letter 2005-41. For more information about Maximum Property Preservation Allowances, see Mortgagee Letter 2016-02. During all inspections, inspectors should verify that all properties are winterized and if not notify the servicer to arrange for winterization immediately as Alaska properties should be winterized year-round. Appointing someone who is knowledgeable about the work being carried out to act as the team leader and the point of contact for any questions an inspector may have. Ensuring the on-site staff work in a clean and tidy manner and behave professionally; e.g., no shouting and swearing, playing loud music or gesturing at passersby. Making sure there are MSDS sheets for all chemicals in use available on site or in work vehicles. Ensuring a first aid kit is readily available. Ensuring all safety standards and procedures are strictly adhered to. Strictly adhering to labor standards and requirements including working hours, minimum wage and working conditions. It is important that you approach every single contract with a professional attitude. You cannot afford to make any mistakes. Even if you have a long-standing track record of providing services of the highest standard, one slip up and your entire reputation could be left in tatters. Make sure you have discussed the means of accessing the property with the realtor or asset manager before you make a trip to the site. There’s nothing worse than clocking up the kms and gas only to find out that you were supposed to pick up the key to the property from the real estate office. Quite often, a lock box will be available on site that will contain the key to the house. Ensure you have the access code in advance and know exactly where the box is located. If you are the first vendor on site, try and gain entry immediately so that you can make yourself aware of any access problems as soon as possible. For example, is the house is to be accessed using the original keys, you’re going to need to change the locks before any work commences. Identifying this as an issue immediately will allow you to call out a locksmith and leave you to carry on with your work while you wait for him to arrive. Try and open the doors anyway. You’ll be surprised how many are left unlocked. If the front and back doors aren’t open, try the side garage door. Try and open the windows. Again, these are frequently left unlocked/open. Look for keys that may have been hidden under mats, on door frames, under plant pots, etc. Check all the usual hiding places. Check for any large pet entry points. Try and pick the locks. If none of these pay off, call a locksmith. If they do pay off, call a locksmith, you’re going to need to make the property more secure before you leave. where can i get the form for a property condition report? Grade A stuff. I’m unnqsetiouably in your debt.